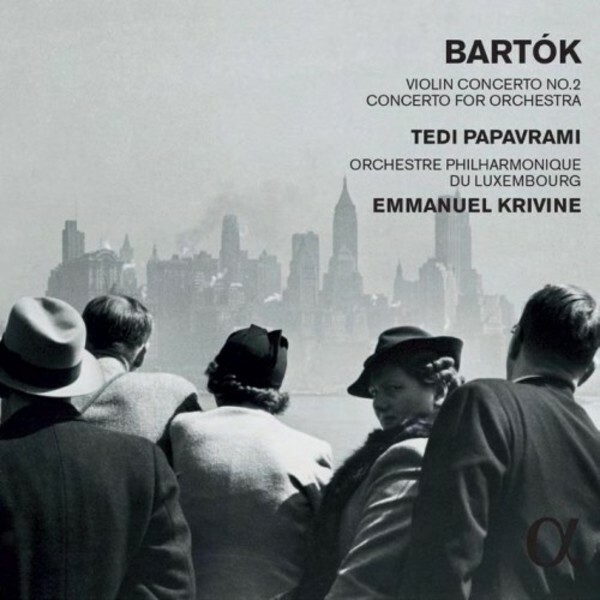 After two first recordings released by Zig-Zag Territoires and devoted to Ravel, Mussorgsky and Rimsky-Korsakov, Emmanuel Krivine and the Luxembourg Philharmonic Orchestra devote this CD to two emblematic works from the end of Bart�k�s life: the Violin Concerto No.2, first performed in 1939, and the Concerto for Orchestra, premiered in 1944. These are absolutely major works both in Bart�k�s catalogue and from this period in the history of music, and are, moreover, close to the universe of Emmanuel Krivine. For the Violin Concerto, it is Tedi Papavrami who was invited by both the Orchestra and by Zig-Zag Territoires. Let us recall the astonishing recording that Tedi Papavrami recently made of Eug�ne Ysa�e�s complete violin sonatas for this label.